Please note: I, in no way have meant to disrespect anyone. It is merely to point some things out about mental illnesses. I hope that no one takes offense to this blog in any way. If for some reason you are offended you can contact me at Bipolar Bandit because I would love to hear from you and would be willing to change things if warranted. There are a lot of successful people in this world who are black. They have done impressive things in their lives including being doctors, lawyers, artists, business men/women, ministers, soldiers, politicians, teachers, and the list goes on. During Black History Month we are reminded that a lot of famous people from the black community deserve recognition for how much they have changed the world for the better. I am not talking about just people who are black, but all of us. I really would like to think that they are, however history and current circumstances unfortunately tell us that this is still not true for everyone. We learn about people who were born black in school in a positive way. We learn that against all odds, they took on the world and did not let the color of their skin keep them from doing things that changed the world for the better. The people from the black community, famous or not, are people the black community look up to and other races are amazed at. They are not ashamed of who they are and have not let the color of their skin keep them back from what they wanted to do with their lives. Although some people in society are judgmental and racists, no one can deny how successful they are. Many people coming from the black community are idols for many and in some cases have made such a difference in the world that they are famous for what they have done. I am sure it is still hard in some parts of our society I will truly never understand how it is to be black. However, I do know the feeling of being looked at differently. I can relate to people thinking that I can’t do anything I want to do in life. I understand people who don’t accept me because of who I am. I also can relate to feelings like being an outcast at times. It is not because of the color of my skin,however,but because I have a mental illness. Just like those people who are not white have had to face many obstacles, so have those with mental illnesses. 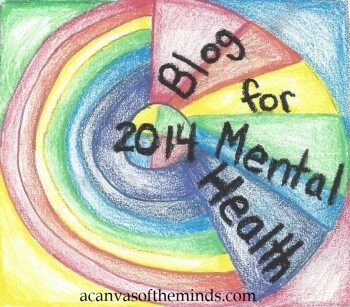 Please read “I Have a Dream regarding Mental Illness” if you have not already. Just like people who are black can do anything against all odds, people who have mental illnesses will hopefully be able to do the same in the near future without being judged or held back just because they have a mental illness. I started out this blog intending to write about all the people who are not white who have mental illnesses, but it turned into a different blog entirely. Please read this blog to see better what I intended for this blog to go. This entry was posted in Uncategorized and tagged black history month, famous people who are black, mental illness, stigma. Bookmark the permalink.